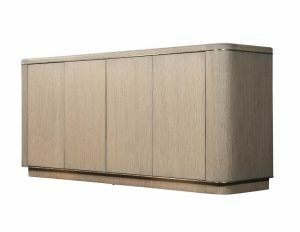 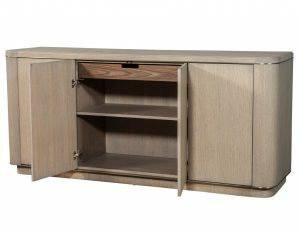 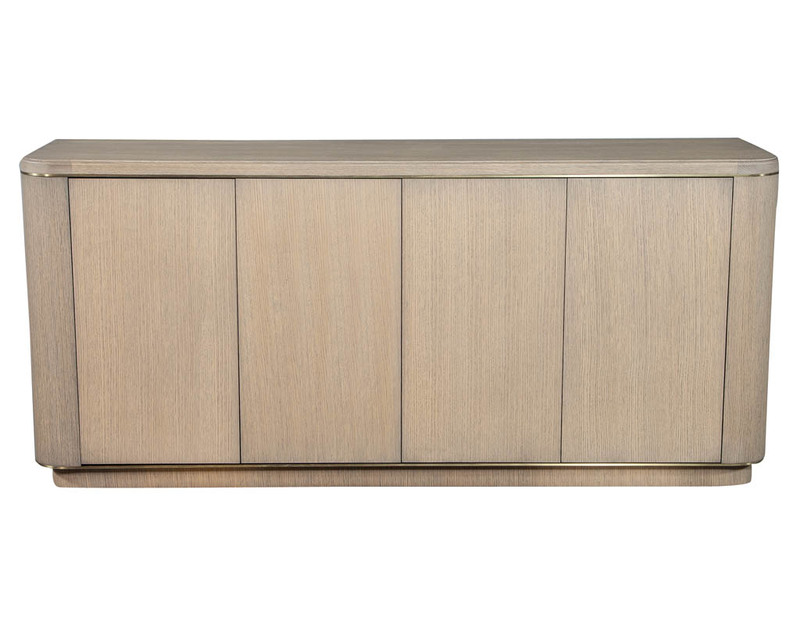 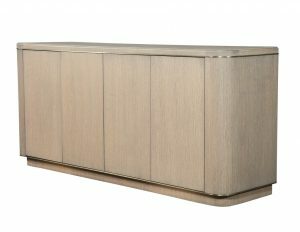 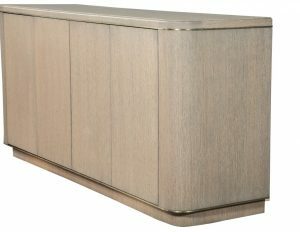 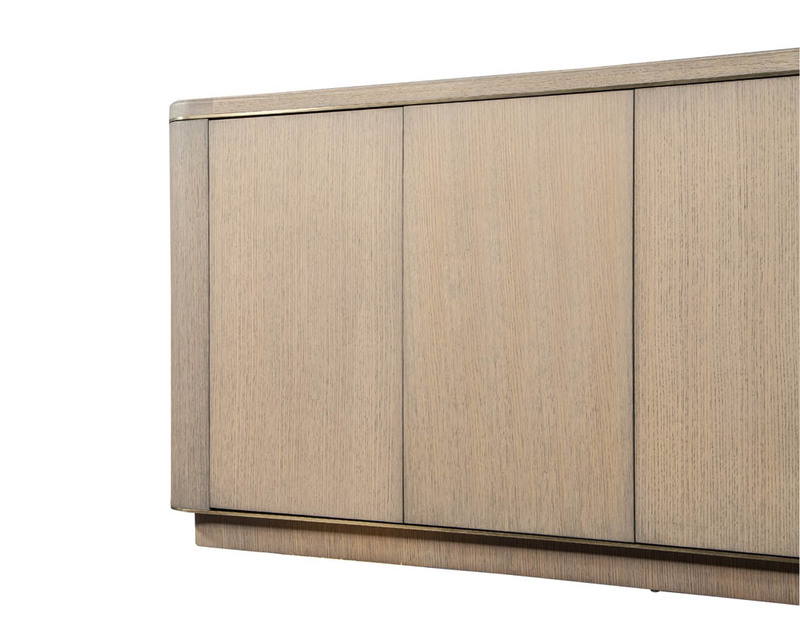 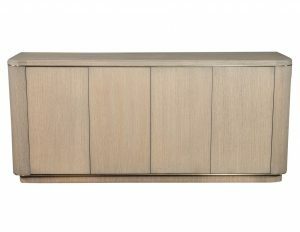 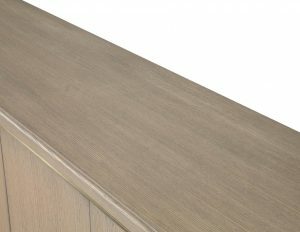 Carrocel Custom Cerused Oak Sideboard Buffet with Brass Accents. 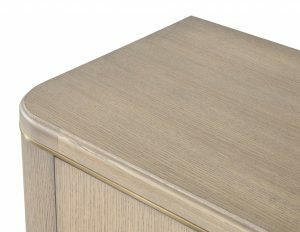 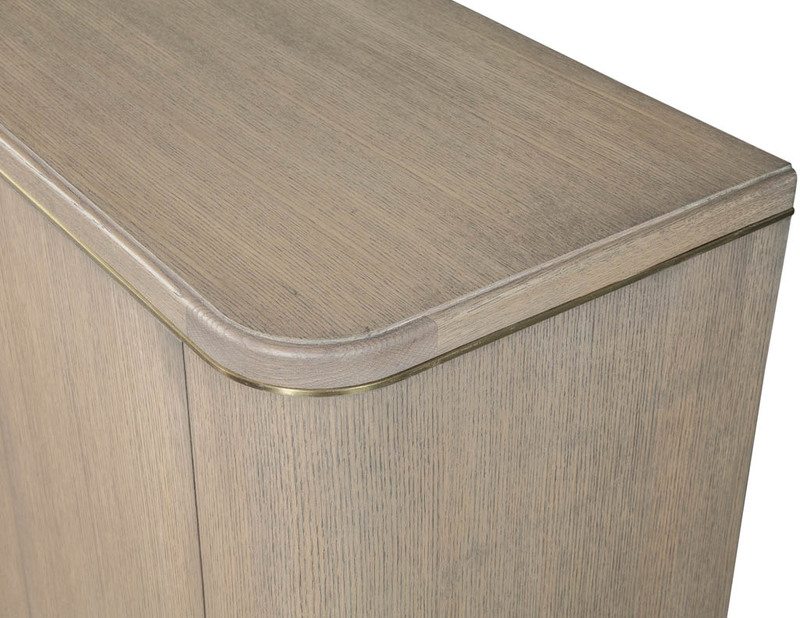 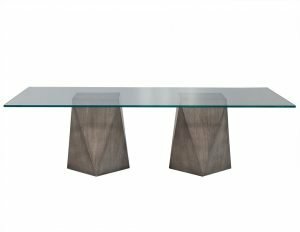 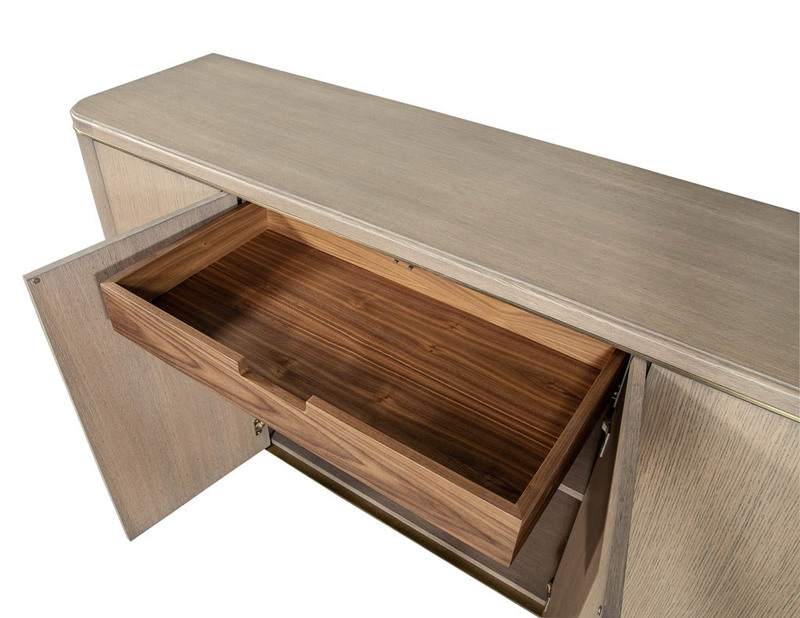 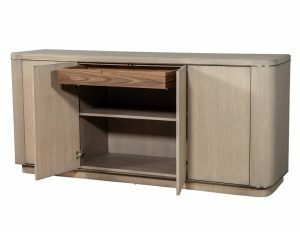 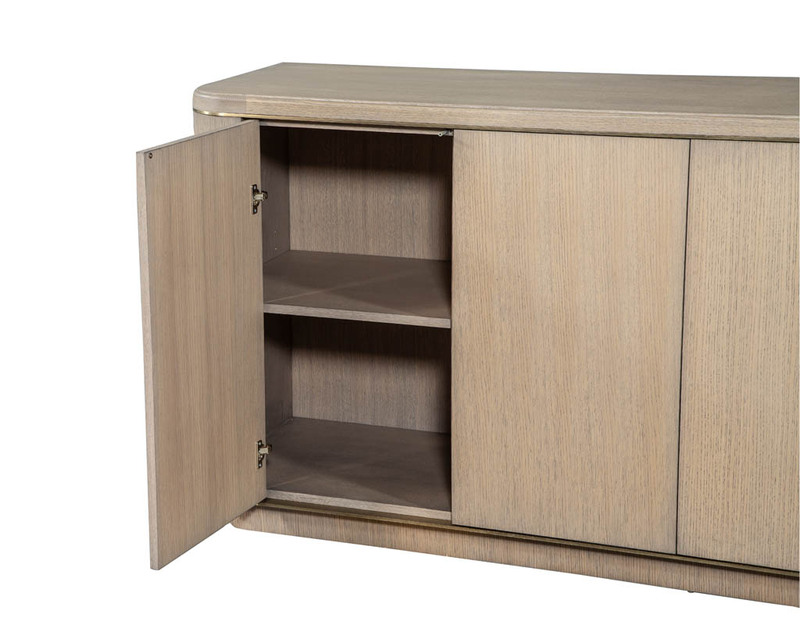 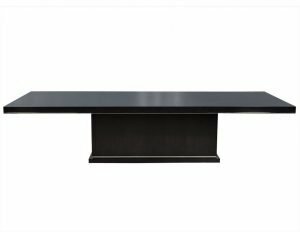 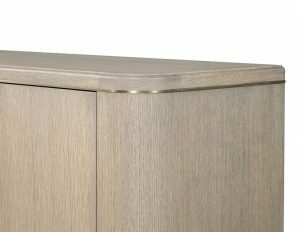 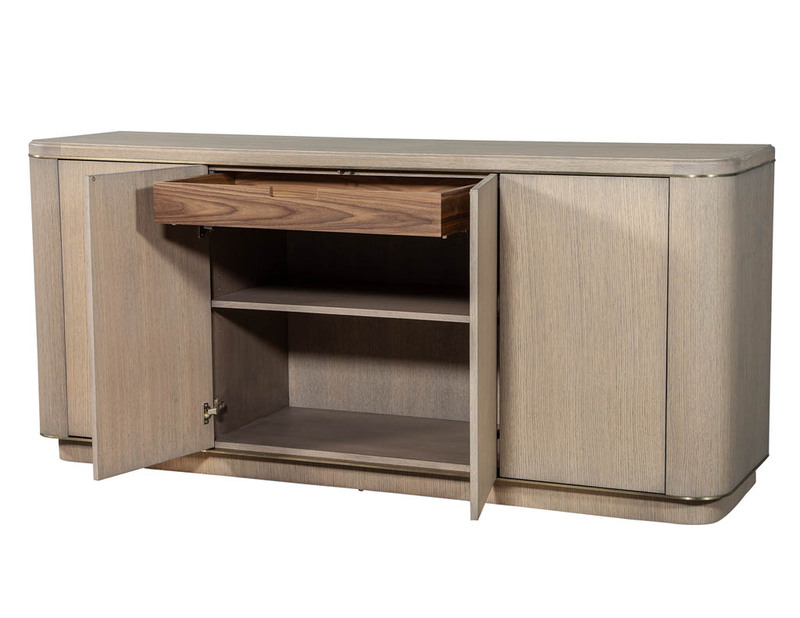 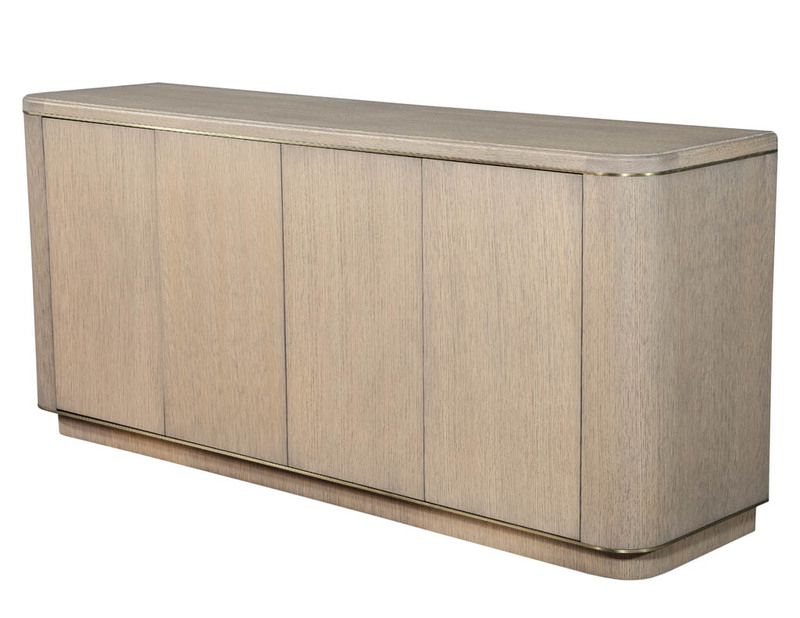 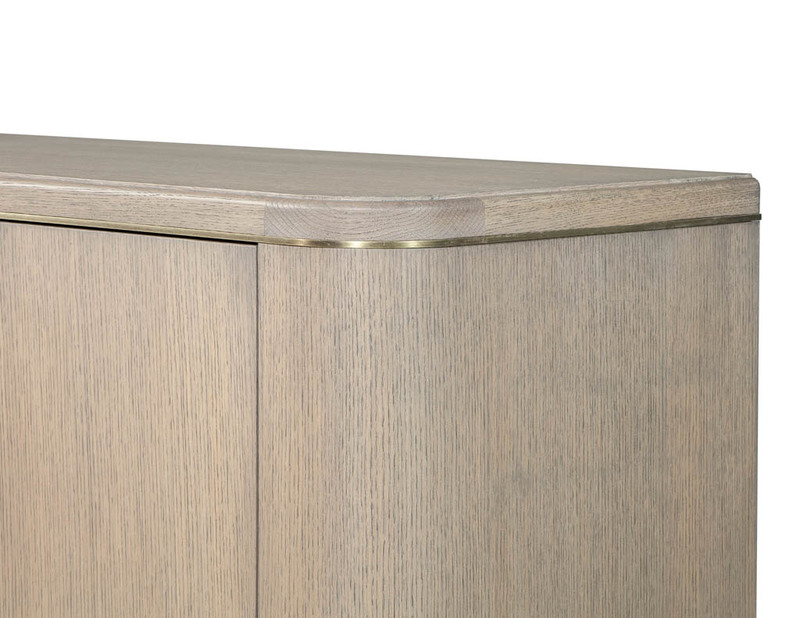 Custom made of cerused oak with a grey wash finish with a rich burnished brass detail. Flowing curves accentuating it’s sleek modern style and design, the interior is fitted with a center self closing drawer and adjustable end shelves.